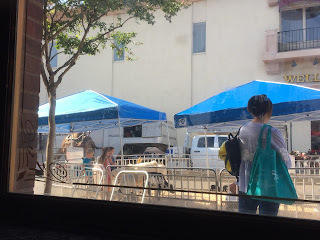 Our window seat at T. Phillip's Ale House gave us a view of the petting zoo and camel rides. 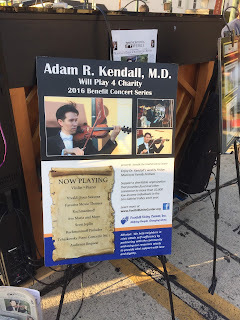 Dr. Adam Kendall is a fixture at the street fair. 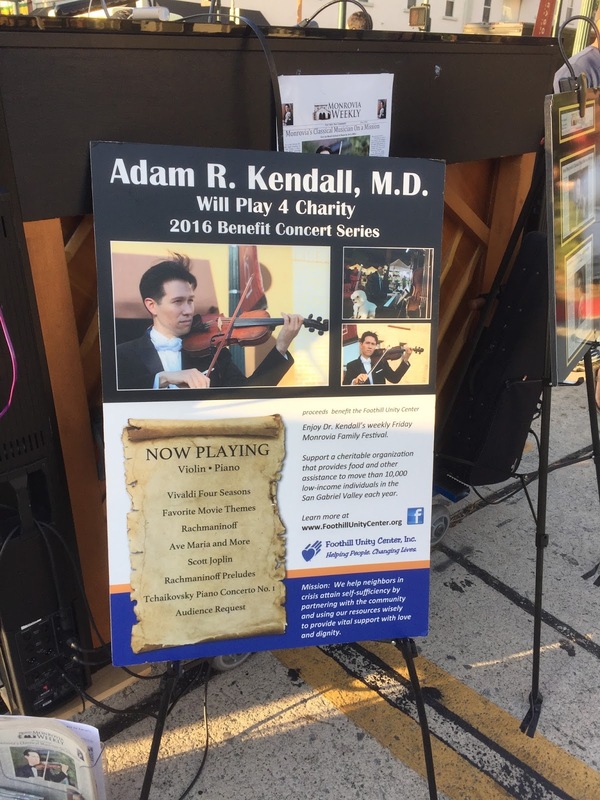 He is a doctor turned musician and music teacher. His little dog is always with him. It's a great street fair, especially for kids and families.